Hiking involves walking and walking means being on your feet a lot. Obvious right? So shouldn’t we treat our feet with respect and love? After all, there is is nothing quite as soul destroying for the long distance hiker than having painful, swollen, blistered and aching feet. Whilst rain, wind, bugs and the loss of your Spork can all be inconveniences on your wilderness experience, foot problems can make your hiking experience memorable for all the wrong reasons. In this post I will share some tips on how, with a little forward planning and a few items in your backpack, you can ensure your feet stay in the best possible health during your next long distance hiking expedition. Some of the tips will seem obvious and you practice them all the time, but a couple may be just what you need to help prevent that blister forming or to reduce swelling of those tired feet whilst your camped for the night. Ok, ok I know. You all understand that poorly fitted boots is the main reason for the majority of foot woes. I am sure when purchasing your boots you go to a store that has a wide selection of boots; that the store has a walking ramp and stone bed to trample up, down and over repeatedly; with qualified staff who will measure your feet around the heel and across the widest part of your foot, not just its length; staff who know that different boot manufacturers cater for different foot types. A store that allows you to take your newly purchased boots home, wear them round the house for a couple of weeks or so to ensure the boots don’t start chaffing, and let you return the boots if they are unsuitable. You certainly don’t buy online because you have your eye on that pair of good looking boots that are in the sale do you? Of course not. That’s just asking for trouble. Now there are some people who pretty much dismiss boots entirely and instead opt for trail shoes claiming that they are lighter, more comfortable, easier to dry, allow your feet to breath better and a host of other perfectly reasonable reasons as to why they won’t wear boots ever again. These people are not like you and me. They are usually Ultra-Light hikers and backpackers, carrying barely more than 10lb (5Kg) backpacks and speeding along their own adventures. For the rest of us carrying 30lb – 60lb (15kg – 30kg) backpacks over long distances and over different terrains then boots are essential. And quite rigid, high-top boots too. But why? Well let’s think about this. Your feet are used to carrying only your own body weight plus the weight of whatever clothes you normally wear over familiar terrain right? Now you want to head off for a few days, or even weeks, over hills, through valleys, across rocky paths and slippery fields carrying an extra fifth or even quarter of your body weight on your back. Your feet and ankles are about to be subjected to some serious abuse here! You don’t want to be feeling every pebble through the soles of your feet with that much weight bearing down on them. And your ankles will need help in supporting that load too – they won’t take too kindly to a misstep causing an ankle to turn. A boot with a fairly rigid sole will ‘iron out’ those underfoot obstructions and boots with a high-top will help support your ankles, effectively acting as a splint, as well as preventing debris from entering your boot possibly causing rubbing and blisters. I have often turned my ankle on a rutted path or on a submerged rock when crossing a stream and would have twisted or even broke an ankle had it not been for the support of a good boot! Feet also swell on long distance hikes. No matter how protected they are you are still putting them through a vigorous workout each day. Buy a boot size bigger than your usual foot size for use on long distance backpacking. You can always wear thicker socks for the first couple of days to compensate for the extra room in the boot and then, as your feet inevitably swell, you can wear your normal hiking socks. Also make sure your toes have room to move inside your boots. Whilst you want a snug fit for your ankles your toes need to be able to flex. This is especially important on descents – you don’t want your toes crammed against the front of your boots. A sure way to bruise your toes at best. At worst, to blacken a nail or two! Break your boots in. Different boots will require different amounts of break-in time. Lightweight and/or synthetic models may feel perfect right out of the box, while heavier, all-leather models may require weeks to soften up and form to your feet – the creases you make in your boots as you break them in will form the shape of the boot for its life. Wear them around the house with the socks you’ll hike in and make sure the lacing is tight against the boot’s tongue, which should lay flat. Then start with short day hikes and slowly, slowly increase the distance. 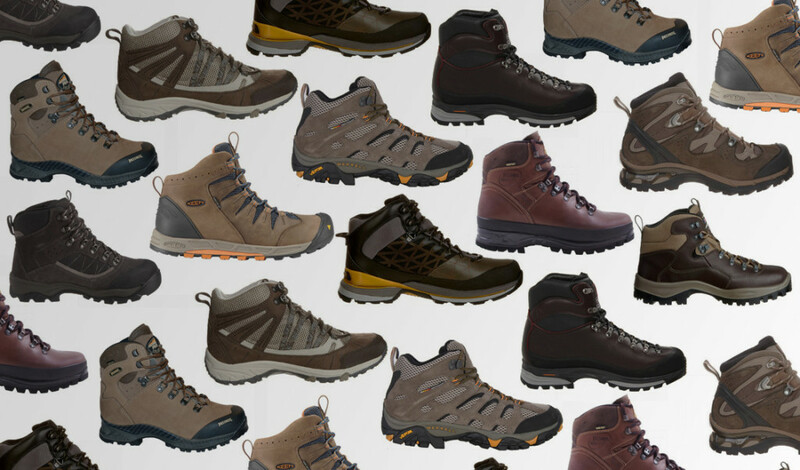 These days there is a huge selection of tough, waterproof, breathable and LIGHT boots that won’t make you feel like your carrying lumps of lead on your feet and will undoubtedly give your feet not only good protection against the terrain, but also help prevent blisters, compacting of the heel and general aches and pains. And there are boots for all seasons too! But you can help your boots further look after your feet with a few additions. An Insole, also known as footbed, inner sole, innersole, is part of the shoe that runs underneath the sole (bottom) of the foot. Your boots will come with the manufacturers own insoles, but unfortunately boot manufacturers traditionally spend far less time developing their insoles and this can lead to an otherwise perfectly good boot becoming uncomfortable on your soles over a relatively short time. Based on the principles of podiatric medicine a good insole will cushion the heel of your foot preventing bruising and compacting of the heel over long distance hiking as well as help support the arches of the foot and cushion the balls of your feet. Fortunately there are now specialist insole manufacturers who provide insoles that can be custom fit to your boots. The difference a good insole makes to the comfort of your feet shouldn’t be underestimated and with companies such as Superfeet making dedicated insoles for the hiker, your feet will thank you for spending a few pounds on a dedicated insole. Much has been said about socks over the last few years. There are basically two camps when it comes to socks. The first advocate wearing two pairs of socks. The reasoning is that any friction caused by your feet moving inside your boots – a major cause of blisters – will be between the two pairs of socks and not between your sock and foot if wearing only one pair of socks. The second camp advocate wearing only one pair of socks. The reasoning here is that you are more likely to develop ‘wrinkles’ in the socks – another major cause of blisters – when wearing two pairs of socks. Using specialist liners can be a good ‘middle ground’ between these two camps and can be a godsend to long distance hikers who can’t wash/change their socks as often as they would like. 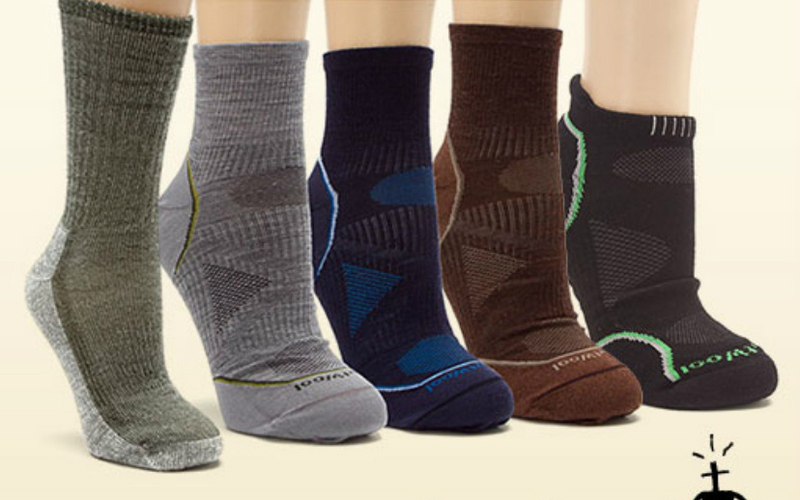 A moisture-wicking synthetic liner inside a wool-mix sock is a good choice. Whichever method you prefer never wear cotton socks or socks with ridges built in. Cotton takes an age to dry and will soak up any sweat like a sponge without wicking it away. And ridges in socks is just asking for hot-spots and blisters to form. Also don’t be tempted by 100% wool or merino wool socks. Apart from being very expensive they will wear out far sooner than those that combines wool with modern synthetic materials. Technical socks, those combining New Wool with advanced synthetic fibres, are probably the best choice and whilst not cheap they will last longer and are best for moisture wicking, breathability, warmth, comfort and staving off those blisters! Whenever you take a rest break on your hike remove your boots and socks, especially if you suffer from sweaty feet, and elevate your feet. If possible cool your feet in a spring first too. Rinse out your socks, daily is best, and hang them on your pack to dry. You don’t have to wait until you get to your nights camp to do this – if your socks become wet or even just damp during the day then change them and put the wet socks to dry on your pack. Take damp socks into your sleeping bag with you at night – your body heat will help dry them out for another days use. Rinsing them will remove any sweat and grime – both will cause your socks to perform poorly – and there is no better feeling than putting on a clean pair of socks at the start of each days hike. Even the best fitted boots coupled the best insoles and socks can still lead to blistering and other foot problems. After all, long distance hiking and/or rigid boots are tough on your feet. There are some simple pre-hike preparations that you can do to help prevent foot problems as well as in-hike solutions too. Cut your toenails. Trimmed nails won’t rub against adjacent toes causing blisters and they are far less likely to bruise if your toes do bang against the toe of your boots on steep descents. Long nails can also cause pressure on the bed of the nail which can result in extreme discomfort and pain when you’re hiking. Trim straight across the nail and not rounded at the corners. Your big toe, in particular, is more prone to you incurring an ingrowing toenail so leave an extra bit of nail on the outside corner to prevent that. File your nails afterwards to prevent snagging on your socks. Take care of callused skin. Some people believe that having thick, callused skin on your feet prevents blisters, but this simply isn’t true. Blisters that form underneath calluses can be very hard to drain and treat. Use a callus file and moisture cream to soften problem areas and also help to heal any cracks in the skin of your feet, especially on your heels. If these cracks aren’t treated, they can split open and infection can result in the tissue underneath. Blister prevention. First, be aware of any places your boot typically rubs your foot. Before you start hiking, apply moleskin, duct tape or medical tape to those areas. Once you begin hiking pay attention to how your feet feel and if you feel any ‘hot-spots’ then stop immediately and take care of them before they form blisters. As you hike, monitor these areas, and especially if you feel the moleskin or tape fall off, stop and reapply as needed. It’s better to stop frequently in your hike’s first few miles to deal with any potential problems than to suffer for the remaining days or weeks ahead. There are a lot of different techniques for blister prevention and most boil down to personal choice. Try some of the following techniques and see which suits you. Both work in similar ways in helping prevent the conditions that cause blisters, but there are also other foot benefits too. Talcum Powder. The premise is that you cover your feet in talcum powder and then squirt some in your socks before donning them and any moisture from sweat is absorbed by the talcum powder thus helping prevent the conditions that can cause blisters. This can be very effective, however some people find that the talcum powder can ‘ball up’ as it absorbs moisture causing lumps in the socks and thus cause blisters. Also adding powder to your expensive technical socks can prevent them from performing as they should. Their wicking and breathability can be compromised. So using talcum powder is a tip that needs your own experience to evaluate whether it is a suitable method for your personal needs. My advice is don’t use too much talcum powder initially. Better to reapply it to your feet frequently than to load up your socks with it. Talcum Powder certainly helps condition the feet keeping moisture from overly softening the skin. Anti-bacterial Foot Powder. Can be used in a similar way as Talcum Powder, but the best way of using it is at the end of your days hiking. Wash your feet and dry them thoroughly. This should be part of your daily camp ritual regardless. Then, before you slip into your sleeping bag for the night, powder your feet with Anti-bacterial powder. Not only will this help stave off any potential fungal diseases, but actually gives a sense of comforting well being as you know you are helping your feet recover during your sleep. Another tip is to every night for a month before a long distance hike massage both feet with pure lanolin (wool fat). It’s better than Vaseline as it doesn’t create heat when friction occurs. It’s also a good barrier for water in case in rains. Also great for your hands. Tape. Taping your feet is, for some people, a great way to prevent blisters forming as well as protecting against more minor abrasions. However, the science behind this method is sketchy at best. A very good resource on taping to prevent blisters can be found here on the Blister Prevention website. Taping your feet takes practice to get right and if you don’t then you can actually cause blisters. Shave your feet before applying tape – this will prevent much of the pain when removing/changing the tape later on. The tape should be applied a few hours before donning your boots to ensure the tape’s adhesion is effective and there should be no creases in the tape whatsoever as these will cause irritation and blisters if left unchecked. In the following video links, Anna Beetham takes Oxfam Trailwalkers through some great tips and taping techniques for the toes, big toe joint and heels. But which tape should you use? Leukoplast, Fixomul, Elastikon, RockTape, KinesioTex Tape, Micropore? Rigid tapes or stretchy? Thick or thin? There is no consensus on which tape works best and is another personal choice. Start with a 3 inch wide zinc-oxide if taping for the first time as this is a cheap medical tape readily available. John Vonhof has trialled many kinesiology tapes and has a few recommendations in his Taping in the Amazon blog post with StrengthTape being highly recommended. Moleskin and Compeed. Both of these products can be used before and after a blister has formed and I always carry Compeed in my first aid kit along with tape for emergency blister treatment. Moleskin has been popular with hikers for many years and is used as a ‘cushion’ for blisters that have already formed, a preventative over hot-spots and as protection for blisters that have already ‘popped. Instructions on how to use Moleskin for all these situations can be found on the website – How to use moleskin for blisters. Compeed is the relatively new kid on the block and has many advocates – me included. In its basic form it is like a plaster on steroids. Compeed is a hydrocolloidal plaster that looks much like a normal one when you take it out of the packet, but it feels thicker and much less flexible. It’s only when you apply it to your skin that you find out how differently it works. Chris Woodford gives a good insight into what a hydrocolloidal plaster is and how they work in his post Blister plasters and hydrocolloidal dressings. Compeed (and similar products such as Comfeel®, Tegasorb®, and Hydrocoll) work by forming a second skin over the damaged area of skin and medicating the wound at the same time. Compeed has specialist plasters for blisters, corns, bunions, callus’ and cracked heels and work very well in not only protecting and repairing damaged skin, but also providing instant pain relief too. 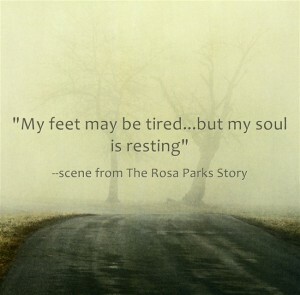 Rest your feet. This may seem obvious, but I can’t stress enough how important it is to get out of your hiking boots as quickly as possible at the end of a days hiking. Once you arrive at your camp area for the evening take off your boots and socks and, if possible, soak your feet for a few minutes in cold water. This will help reduce any swelling that has formed and help prevent swelling that can occur once you remove your boots. It will also feel wonderful! Dry your feet, put on your camp shoes and set up camp. Later, when in your bag or relaxing reading your book, eating your evening meal etc. put your feet up – literally. Raise your feet above the height of your heart if possible (best achieved when lying down) as this will also help reduce and prevent swelling. Check your feet and dress/redress as required. Wash your socks. Even a quick rinse in a stream will help remove much of the sweat and grime your socks accumulated during the day. Wring them out and set them to drying – take them damp in your sleeping bag when you sleep if necessary. Clean, dry socks really are luxury for your feet! Look after your boots. Clean your boots as best you can each evening. This will help your boots breath again and dry quicker if wet. Take out the insoles and let them air – this will also help air and dry your boots too. 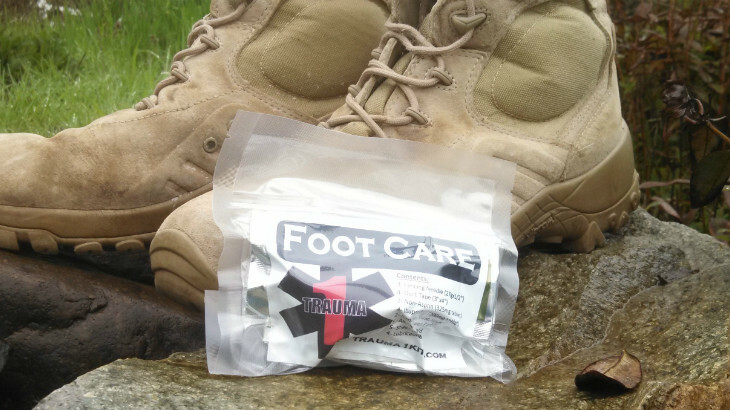 If you have any tips on foot care for the long distance hiker please share them in the comments below – I will update this blog post with the best suggestions received. ...on Hiking, ...on Tips, My Thoughts Blisters, Boots, Compeed, Feet, Foot Care, Hiking, Insoles, Moleskin, Socks, Tape, Tips. permalink. Thanks Chris! Size 14? Wow. Must be difficult finding boots? This post is a really good source of information, even if the shape of my feet, normal heels and very wide across the toes, mean I haven’t been able to follow much of its advice. For example, I’ve never had a pair of boots which fit properly. I’ve got away with things by investing in new, high quality woollen socks for each significant hike. Luxurious, woolly socks have kept me largely free from blisters even in some very sloppy footwear. BTW, I suspect the best way to avoid blisters is plenty of walking. Your feet are similar to mine then Zed. Have you tried Brasher boots? Broad foot-box and come in half sizes too. Brasher boots were fine till they changed manufacturers, but only because the boots distorted to the shape of my feet. After the move away from Kendal, the boots narrowness became a problem. I am comfortable in some town shoes from Brasher, which are very wide to cope with foot expansion while walking hot, city streets on holiday. I find them about right for northern Britain in mid winter. As for more walking, I really meant during everyday life, in whatever footwear you happen to have on at the time, although hiking each weekend ought to be good enough to get feet in shape. Personally, I find socks from Smartwool and Teko suit me well and let me get away with wearing footwear which is ridiculously long and sloppy in the heel just so I can get the width for my toes.